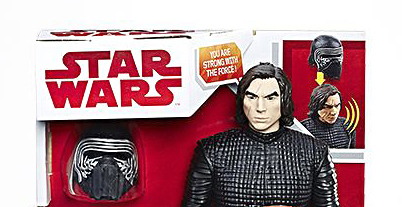 While researching additional items to add to the ever-growing Force Friday 2 checklist, I stumbled across a new Interactech Kylo Ren listed on the Australia Target.com website. Like previous Interactech figures, 60+ sounds and phrases are activated when the figure is moved. Click on through for the full list of features and images. Watch for more reveals later today.